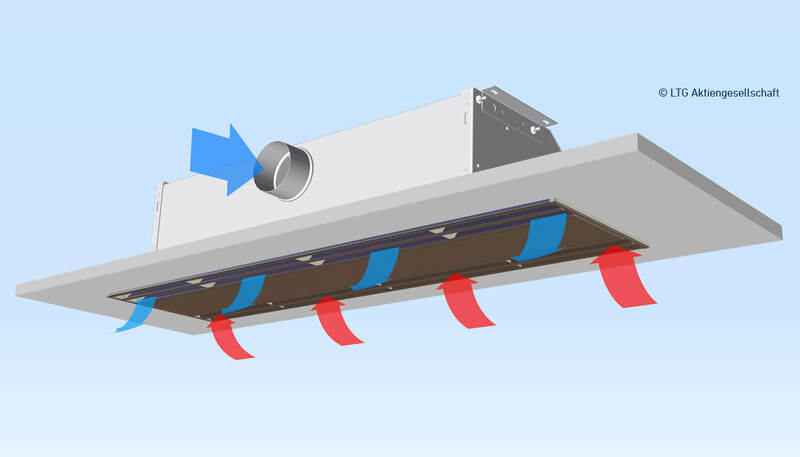 Comfortable even in complex installation situations in single and banded configuration: draftfree air conditioning even for critical projects. 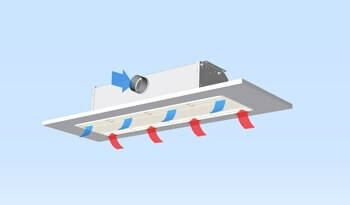 Designed for installation in band grid ceilings of low height. 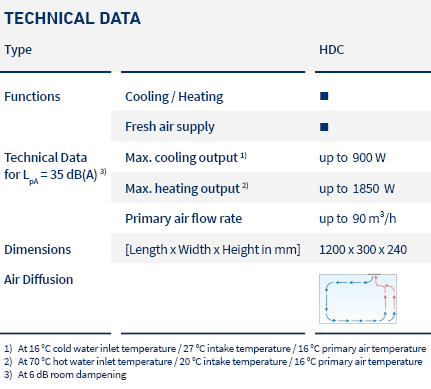 Optimized for cooling office rooms. Matching product to supplement fan coil unit VDC with the same appearance.